Although willpower alone does not work in overcoming alcoholism, there is a place for the will, or willingness, in the search for a happy sobriety. Things can happen if we are willing to let them happen. More important, progress often depends on our willingness to give up what stands in our way. It also requires our willingness to take the actions necessary for success. The key to constructive change in our lives is willingness, and that applies to other matters as well as to alcohol. I’ll try to be honest today about what I really want. I will remind myself that if I want something badly enough, willingness is the key to action and to success. Prayer for the Day: Higher Power, help me to know You more clearly. There’s much I’m not sure about. For now, I will act as if the help I get comes from You. Action for the Day: I’ll think of three ways my Higher Power has done just the right thing for me. I need to risk in life. I need to try again. I need to face life and not run from it. Early in my sobriety I was scared to try new things because I was afraid I might get hurt. I was afraid to express my feelings. I hid in the idea of simply “not drinking”. Spirituality is about being willing to reach out into new areas, engage in new and different relationships, enjoy the richness of God’s world. As I grow in sobriety I develop the capacity to react differently to painful situations and overcome them. I learn that mistakes can make for new conquests. That lasting joys and achievements are born in the risk. Teach me to overcome yesterday’s sorrows with today’s optimism. Every human being gathers information from the center of a circle. If we are not careful, we soon think we are the center of all things. Therefore, it is easy to become self centered. Once we become self centered we start to think we are above all things and therefore superior. But we are really only one part of a great whole. The universe is all connected. Each part is here to do something special and according to its design. We are here to honor and respect the job of each part. We are neither above nor below anything. We need not be ruler over anything, we need only to live in honor and harmony with the system. Let us open our natures, throw wide the doors of our hearts and let in the sunshine of good will and kindness. Kindness is among the gifts we can most easily spread among others. The more we give of kind words and deeds, the more we discover that kindness is like a burning candle which lights many other candles without losing a trace of its own brightness. Our kindnesses are assets, which return unexpected dividends when we invest them in the happiness of others. Kindness is the very basis of love. It softens the most severe anger and gladdens the hardest hearts. No kindness is too small to win and hold the affection of others because it is made up of gentleness, love, generosity, unselfishness, and caring. What kindness do I have to offer today? To pity distress is a natural human characteristic, except in the case of the poor drunk. The hospitals want no part of him. He brought it on himself and, besides, they need their beds for really sick people. Many doctors won’t make a house call if they suspect the patient has been drinking and, when they do, their medication consists for the most part of something to knock him out and keep him quiet. People who spend hours raising funds for the tubercular and the cancerous call a cop when they see a drunk. God knows the drunk and He also knows human nature, and so He invented AA. Until it has tasted blood. Is seldom seen with a sword. Many centuries ago, there was a wanderer who was constantly chased by assassins. He was the best swordsman in the country. His challengers wanted to overcome him and thereby establish their own fame. Although the swordsman had long ago repented his killing and had renounced his status, he was still considered the best. Over and over, his enemies came for him, and just as many times he defeated them using things at hand -- umbrella, fan, sticks. He did not draw a real sword for he knew he was far too lethal when armed. So it is that the wise remain humble so that others are not aroused against them. They avoid conflict whenever possible. If trouble comes to seek them, they use only the bare amount of force in return. To go further is to fall into excess. I had no confidence or satisfaction in myself. I covered my lack of self-respect with absurd and harmful behaviors. I shielded myself from the respect and love of others by using these behaviors. I wanted to hide from the truth I knew – that I was behaving badly and dishonestly. Having begun this program which restores us to sanity, we have stepped into a new realm of learning to love and respect ourselves. We have come to realize that we gain self-respect by working the Steps, surrendering ego, doing service for others, and relying on a Higher Power. Our lives become useful, our hearts are healed, and we are filled with respect for who we have become. May I come to realize I am worthy of self-respect because I am doing the right things for the right reasons … and giving credit to my Higher Power. You can prove to yourself that life is basically and fundamentally an inner attitude. Just try to remember what troubled you most a week ago. You probably will find it difficult to remember. Why then should you unduly worry or fret over the problems that arise today? Your attitude toward them can be changed by putting yourself and your problems in God’s hands and trusting Him to see that everything will turn out all right, provided you are trying to do the right thing. Your changed mental attitude toward your problems relieves you of their burden and you can face them without fear. Has my mental attitude changed? You cannot see the future. It’s a blessing that you cannot. You could not bear to know all the future. That is why God only reveals it to you day by day. The first step is to lay your will before God as an offering, ready for God to do what is best for you. Be sure that, if you trust God, what He does for you will be for the best. The second step is to be confident that God is powerful enough to do anything He wills, and that no miracle in human lives is impossible with Him. Then leave the future to God. I pray that I may gladly leave my future in God’s hands. I pray that I may be confident that good things will happen, as long as I am on the right path. Alcohol produced problems in my life. I was unable to control my drinking and the result was catastrophe. I hurt people. I endangered my health. I ruin my productivity. I became lonely. I felt isolated. I was forever getting into arguments. The police were often involved. People who loved me had to walk away from me for their own sanity. Alcohol made my life a mess! Alcohol + Me = Problems. Lord, alcohol is a gift I can refuse. We need to look at nature and its inhabitants as our brothers and sisters. Whenever we pick plants or herbs, we should leave an offering of tobacco. We should talk to the plants and ask their permission to use them. The plants will feel honored to be of service for each of them knows they are here to serve. Each of them knows they carry a special medicine and this medicine is about continuing the cycle of life. We need always to be grateful to our brothers and sisters. Creator, I thank you for the opportunity of life. It’s the deepest channel that runs most true. The greatest rivers spread themselves out wide and lazy over the earth. They roll over on themselves like great turtles turning in the warm sun. A river flows, drawn to the oceans, carving ever-deepening channels, nestling snug in the earth’s welcoming lap. The current is strongest in the deepest channel. Boat navigators know that finding that channel means finding the swiftest current and the safest voyage home. When we look at a river, or at another person, we see only the surface. What keeps our attention is usually some movement or activity on the surface. But there is more than meets the eye, especially to people. When we overlook someone because that person is quiet or simple, we may be robbing ourselves of an eye-opening discovery. Which deeper things can I look for in my day? Exactly what is AA worth to you? Have you ever figured that out? 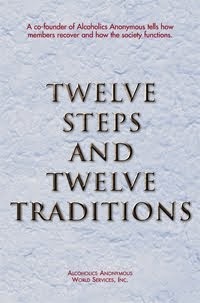 Make a written list sometime of the benefits you have derived from your sobriety. Try hard to make an honest evaluation of what it would be worth to you in dollars and cents. How much have you benefited mentally, spiritually, physically, financially, socially? Then make another list – how much has AA benefited by your membership? Are you trying to give as much as you have received? If not, you are getting something for nothing and that isn’t honest. You can never square the debt, but you can probably give it a little better try than you have been doing. Recovery is a process that brings about change in our lives. We need that change if we are to continue our growth toward freedom. It’s important that we remain open-minded when others point out our shortcomings, for they are bringing to light opportunities for us to change and grow. Reacting defensively limits our ability to receive the help they are offering us; letting go of our defenses opens the door to change, growth, and new freedom. Each day in the recovery process will bring an opportunity for further change and growth. The more we learn to greet change with an open mind and heart, the more we will grow and the more comfortable we will become with our recovery. Just for today: I will greet each opportunity for growth with an open mind. In order for the Creator to do His work on this earth, He needs the human being to do it. How He guides us is through our eyes, ears, hands, nose, mouth, arms legs and feet. We are instruments of the Creator. We are His keepers of the earth. We are the keepers of our brothers. We are to teach His children. We are to respect the things He has made. We are to take care of ourselves and treat our bodies and our minds with respect. We are to do respectful things. We are to walk the Sacred Path. We should have good thoughts. We should do only things that we think the Creator would have us do. What an honor to be a human being. What an honor that He would talk to us and guide us to perform His wonders. Oh Great Spirit, let me appreciate the role you have given me. Let my sense be sharp to hear Your voice. Keep my mind clean so I can do the things You would have me do. In the game of musical chairs, everyone walks around a circle of chairs. When the music stops, they scramble for the nearest open chair. If we were playing this game and found the nearest chairs taken, wouldn’t we quickly look around for the next open one? To remain immobilized, angry that the chair we wanted was taken, would undoubtedly lose our place in the game. Sometimes in life, we set our sights on a particular chair. Perhaps there is an award we want to win, or we want to be the high scorer on our team. Perhaps there is a promotion or a job we would like to get. When we do not get what we want, it is easy to keep looking at what we didn’t get instead of seeing all we have. It is important to be grateful for what we have – for the open doors and empty chairs waiting and inviting our attention. Loss and disappointment are a part of life – but the music will play again and our lives can move on. What is available to me today? We must know the nature of our weakness before we can determine how to deal with it. When we are honest about its presence, we may discover that it is imaginary and can be overcome by a change of thinking. We admit that we are alcoholics and we would be foolish if we refused to accept our handicap and do something about it. 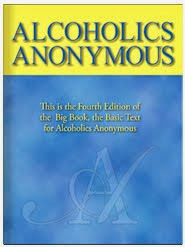 So by honestly facing our weakness and keeping ever present the knowledge that for us alcoholism is a disease with which we are afflicted, we can take the necessary steps to arrest it. Have I fully accepted my handicap? There is a proper time for everything. I must learn not to do things at the wrong time, that is, before I am ready or before conditions are right. It is always a temptation to do something at once, instead of waiting until the proper time. Timing is important. I must learn, in the little daily situations of life, to delay action until I am sure that I am doing the right thing at the right time. So many lives lack balance and timing. In the momentous decisions and crises of life, they may ask God’s guidance, but into the small situations of life, they rush alone. I pray that I may delay action until I feel that I am doing the right thing. I pray that I may not rush in alone.